Starting as a fleeting idea in 2012 to provide action sports opportunities to young people in regional NSW, Spider Silk’s Big Air School has grown into a youth engagement entity which Spider Silk are all very proud of. 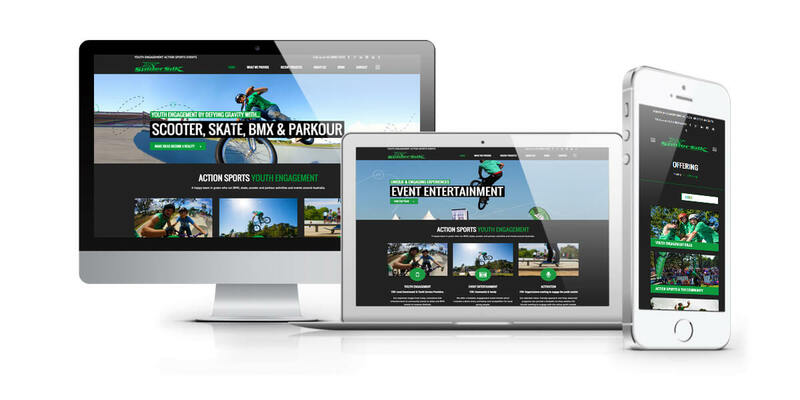 The brief was to create a visually appealing site to reflect the creative and design aspects of the Scooter, Skate, BMX & Parkour youth engagement and action sports events industry and attract those interested in planning events. As well as incorporate crucial Search Engine Optimisation (SEO) to ensure the site brings in traffic.